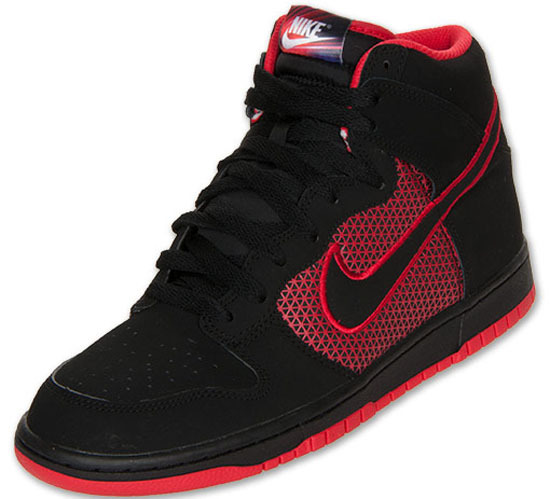 Along with the Nike Lunar Force 1 and the Nike Hyperflight, this Nike Dunk High also released over the weekend. The follow-up to the "Superhuman" Collection, released in March. 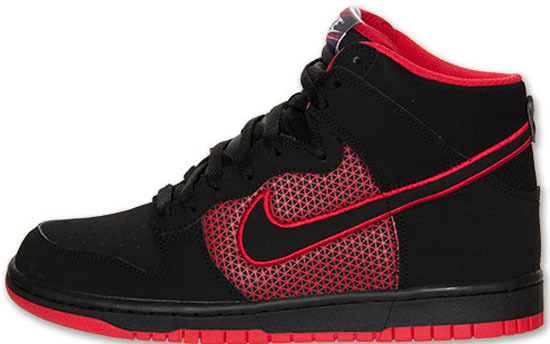 This "Superhero" Nike Dunk High comes in a black, black and university red colorway. Featurin a black based nubuck upper with red accents. The same design found on the Nike Zoom Hyperflight Premium and the Swoosh on the sides of the Nike Lunar Force 1 LTR released alongside these Dunks is found on the tongue tag. A general release, they were released on Saturday, May 4th, 2013 at select Nike accounts worldwide. Retail is set at, $85. 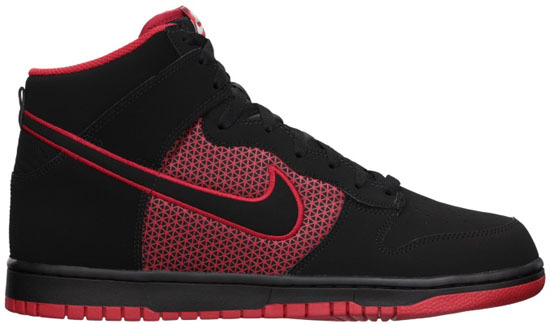 Enjoy the official images of the "Superhero" Nike Dunk High in black, black and university red below. If you're interested in picking these up, check in with your local spots to see if they received them. Those of you looking for a pair now can, click here to buy them on eBay.